Terry White Chemists Rosuvastatin should be used as an adjunct to diet when the response to diet and exercise is inadequate.,,Prevention of Cardiovascular Events: Terry White Chemists Rosuvastatin is indicated for prevention of major cardiovascular events in men greater than or equal to 50 years old and women greater than or equal to 60 years old with no clinically evident cardiovascular disease but with at least two conventional risk factors for cardiovascular disease (hypertension, low HDL-C, smoking, or a family history of premature coronary heart disease).,,Terry White Chemists Rosuvastatin is indicated to:,+ Reduce the risk of nonfatal myocardial infarction,+ Reduce the risk of nonfatal stroke.,+ Reduce the risk of coronary artery revascularisation procedures.,In patients with hypercholesterolaemia: Terry White Chemists Rosuvastatin is indicated for the treatment of hypercholesterolaemia (excluding heterozygous familial hypercholesterolaemia).,Prior to initiating therapy with Terry White Chemists Rosuvastatin, secondary causes of hypercholesterolaemia (e.g. poorly controlled diabetes mellitus, hypothyroidism, nephrotic syndrome, dysproteinaemias, obstructive liver disease, other drug therapy, alcoholism) should be identified and treated. 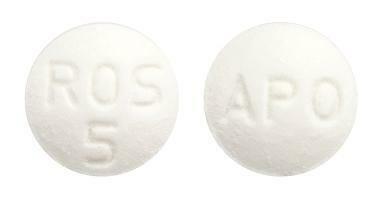 White, round, biconvex, film coated tablet, engraved 'APO' on one side, 'ROS' over '5' on the other side. 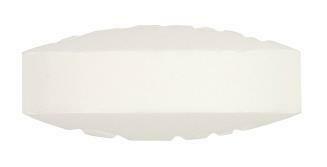 Rosuvastatin should be used as an adjunct to diet when the response to diet and exercise is inadequate. Prevention of Cardiovascular Events: Rosuvastatin is indicated for prevention of major cardiovascular events in men greater than or equal to 50 years old and women greater than or equal to 60 years old with no clinically evident cardiovascular disease but with at least two conventional risk factors for cardiovascular disease (hypertension, low HDL-C, smoking, or a family history of premature coronary heart disease). 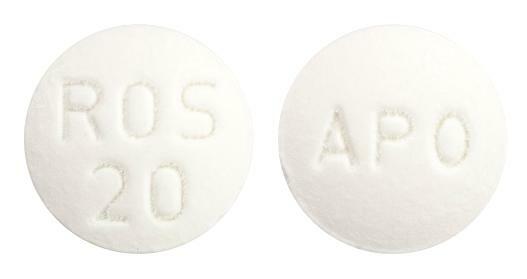 Rosuvastatin is indicated to: + Reduce the risk of nonfatal myocardial infarction + Reduce the risk of nonfatal stroke + Reduce the risk of coronary artery revascularisation procedures. In patients with hypercholesterolaemia: Rosuvastatin is indicated for the treatment of hypercholesterolaemia (including familial hypercholesterolaemia). 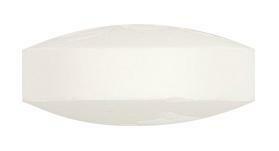 Prior to initiating therapy with Rosuvastatin, secondary causes of hypercholesterolaemia (e.g. poorly controlled diabetes mellitus, hypothyroidism, nephrotic syndrome, dysproteinaemias, obstructive liver disease, other drug therapy, alcoholism) should be identified and treated. Shelf lifetime is 32 Months. 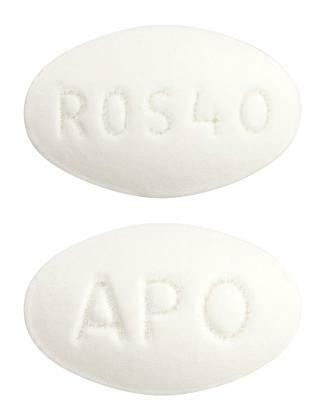 White, oval, biconvex, film-coated tablet, engraved 'APO' on one side, 'ROS40' on the other side. 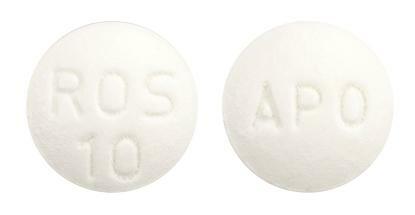 White, round, biconvex, film-coated tablet, engraved 'APO' on one side, 'ROS' over '10' on the other side.